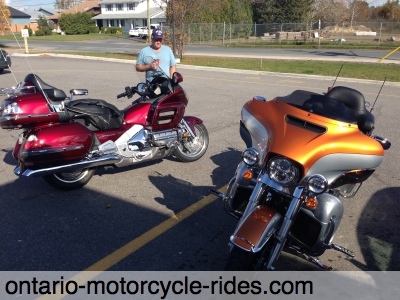 Today was a good day to ride from North Bay to Sturgeon falls for a coffee meetup with a good friend. 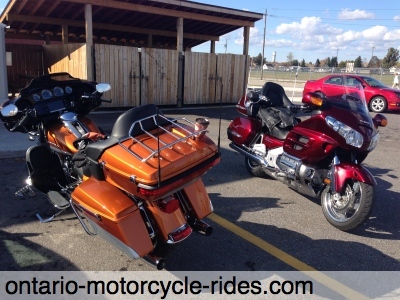 He's riding a 2009 Honda Goldwing and I am riding a 2014 Harley Davidson Electra Glide Ultra Limited. 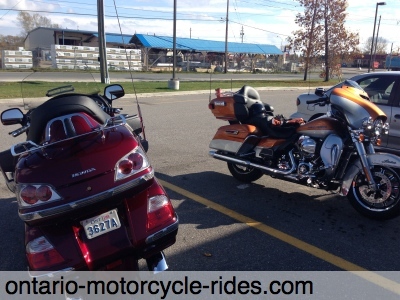 Sun was shinning for most of the ride and it was beautiful when we arrived in Sturgeon Falls.